A tropical legume plant, the winged bean is a complete health package. Jam-packed with an abundance of nutrients, the health benefits offered by the vegetable is limitless. From its root to its flowers, winged beans' parts serve various purpose, all extremely beneficial to your  health. The vegetable of the plant is a significant source of minerals and vitamins. By offering a plethora of nutrients to your body, the winged bean is something that must be added your diet. The fleshy, four-angled legumes are widely used in southern Asia, primarily due to its medicinal properties . The leaves, seeds, tubers and flowers of winged bean can be consumed, thereby leaving no part of the plant go to waste. The root of the legume has a taste similar to that of potato, some say even better than potato. The leaves can be eaten like spinach and the seeds can be consumed in similar ways as of soybean. From improving your immune system to aiding in weight loss, the legume is a powerful antioxidant  as well. Winged beans are exceptional sources of folate and the controlled consumption shows amazing effects on pregnant women and newborn babies. 100 grams of raw winged beans contain 409 kcal energy, 0.795 milligrams pantothenic acid, 0.45 milligrams riboflavin, and 0.175 milligrams vitamin B6. From contributing the daily requirement of protein to improving your immune system, the healthy legume is packed with oodles of benefits to your body. Winged beans are rich in vitamin C and vitamin A. Consuming the legume helps in strengthening the immune system  , and thereby supporting your body against any possible infections and diseases. The vitamin C in the legume plays the role of a protective shield, warding off illness and guarding your body. The healthy legumes have low-calorie content. 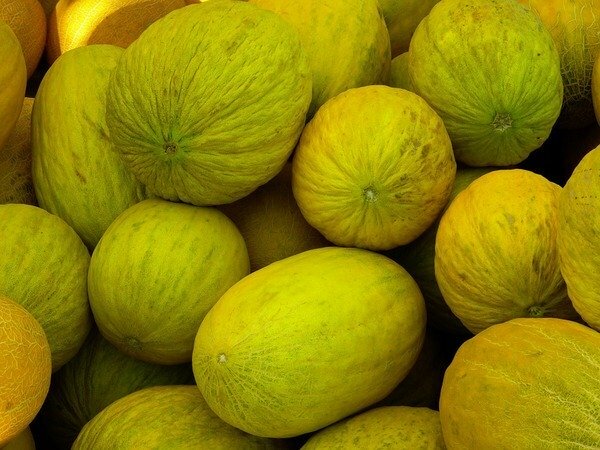 It also has a surplus amount of fibre that helps in healthy  weight loss. The fibre and calories help keep you feel full, thereby reducing the chances of constant snacking that can lead to unnecessary weight gain. The fibre stays in your stomach and eases the feeling of constant hunger. Being a rich source of folate  , controlled consumption of winged beans are beneficial during pregnancy. It helps support a healthy delivery and avoid the onset of any neural tube defects to the infant. Along with the folate content, the rich source of iron in the legume is beneficial as it reduces the risk of maternal anaemia  and low birth weight. The considerable amount of manganese in the legumes help in reducing inflammation  . The antioxidant property possessed by the mineral works in relieving any sprains or swellings  caused. This is beneficial for individuals suffering from arthritis, as it helps in treating the superoxide dismutase (SOD) deficiency, the factor causing the condition. According to studies, the thiamine content  in the legume is known to prevent problems related to vision. Regular consumption of winged bean help prevents the onset of issues such as glaucoma and cataracts. The thiamine has the ability to improve the muscle and nerve signalling, which is critical in the connection between your eyes and brain. Studies have revealed that an amalgam of vitamin D and calcium works together to prevent the onset of diabetes. This is done by optimizing the glucose metabolism in your body. These two nutrients directly impact the pancreatic cells, thereby managing the secretion of insulin and blood sugar levels. By balancing the sugar levels in your blood  , the legume helps in preventing the onset of diabetes. The phosphorus in winged beans help improve your energy levels and can help in dealing with issues such as fatigue, muscle weakness and numbness. The different type of sugars  in winged beans, such as glucose, sugars-fructose, sucrose, lactose, galactose, and maltose  is directly responsible for improving your energy levels. Consuming winged beans not only helps in improving your energy levels but also aids in maintaining it. Winged beans are natural antioxidants that help prevent the cell membranes from being attacked by free radicals that cause damage. The vitamin C and vitamin A  in the legume prevent the onset of premature ageing and protect your skin from wrinkles, blemishes and other age-related damages. By renewing the skin cells, it helps in treating reduced firmness of skin as well. Loaded with nutrients, winged beans are a natural source of necessary nutrients. Regular consumption of the legume helps in compensating for any insufficiencies  in your diet. The legume is not only filled with beneficial vitamins but also minerals such as iron, copper, calcium, phosphorous, manganese and magnesium. Tryptophan-rich foods are known to reduce pain related to stress and tension. Consuming winged beans can help reduce headaches and migraine. It aids in the increased synthesis of serotonin  , which in turn offers relief from the pain and also the associated symptoms such as indigestion, and sensitivity to light. Winged beans are packed with plenty of proteins. The legume is extremely beneficial  for building muscles. Along with that, it also repairs the weak muscles present in your body as well. Regular consumption of the legume will help in making you stronger and gives your body a healthy outlook. The high content of magnesium  in the legume aids in normalising the breathing by relaxing the bronchial muscles. It also helps by regulating the breathing. Winged beans are extremely good for individuals suffering from chronic asthma. It is also said to improve breathlessness and thereby regulate your breathing. Winged beans are a good source of folic acid  , which helps in improving the blood in your body. Regular consumption of the legume is beneficial for treating and preventing anaemia. Consuming it along with supplements are also beneficial for improving your condition. The calcium content in the legume has various benefits to your body. Being a rich source of the nutrient, winged beans are extremely good  for the health of your bones. Consuming the legume help improve your bone health, which in turn will reduce the risk of developing osteoporosis in the future. The calcium content in it is equally beneficial for your teeth and nail health as well. Known for its high content of iron, winged beans are extremely beneficial  for the production of blood. It helps in responsibly elevating the levels of haemoglobin within your body, thereby help in improving the low levels of red blood cells. The high fibre content in the legume is not only beneficial for weight loss but also plays a significant role in regulating proper digestion. It helps prevent constipation  as the fibre pushes out the excessive waste and also help reduce bloating. The abundance of vitamin A in the legume is exceedingly good for your body. Being an antioxidant, it helps protect your DNA from damages  caused by harmful radicals. It reduces the oxidative stress and removes the harmful elements from your body. As aforementioned, winged beans are extremely good for your skin. It protects your skin from external as well as internal damages and keeps it healthy. The vitamin C content not only limits the onset of wrinkles and lines but also aids the growth of  collagen. This helps in maintaining your skin elasticity, thereby protecting your skin from being saggy and loose. Boil the water and add 1 tablespoon salt. Once it starts bubbling, add the chopped winged beans in and turn off the heat. Let it sit in the water till the colour changes to bright green. Strain it and place it in ice cold water. Add the grated coconut and a pinch of salt. Heat the olive oil in a pan and add the mustard seeds and dried red chillies. Once the mustard seeds start to splutter, add the curry leaves and turn off the heat. Add to the salad and mix well. Boil 4 cups of water and add the chopped winged beans. Once it is lightly boiled, place it in ice cold water. Take the seed out of the plum and squash it with a knife. Mix the squashed plum with the soy sauce. Add the paste to the boiled winged beans. Sprinkle salt and black sesame on top, mix well. Individuals with immune-allergy toward legumes should avoid consumption of winged beans. If you have G6PD-enzyme deficiency disease, do not eat winged beans. Due to its oxalic acid content, avoid the legume if you have oxalate urinary tract stones as it can crystallise the oxalate stones. Drink plenty of water while consuming the legume, so as to avoid developing bladder stones. Vatanparast, M., Shetty, P., Chopra, R., Doyle, J. J., Sathyanarayana, N., & Egan, A. N. (2016). Transcriptome sequencing and marker development in winged bean (Psophocarpus tetragonolobus; Leguminosae).Scientific reports,6, 29070. Lepcha, P., Egan, A. N., Doyle, J. J., & Sathyanarayana, N. (2017). A review on current status and future prospects of winged bean (Psophocarpus tetragonolobus) in tropical agriculture.Plant Foods for Human Nutrition,72(3), 225-235. Stagnari, F., Maggio, A., Galieni, A., & Pisante, M. (2017). Multiple benefits of legumes for agriculture sustainability: an overview.Chemical and Biological Technologies in Agriculture,4(1), 2. Martín-Cabrejas, M. Á. (Ed.). (2019).Legumes: Nutritional Quality, Processing and Potential Health Benefits(Vol. 8). Royal Society of Chemistry. Cordain, L., Toohey, L., Smith, M. J., & Hickey, M. S. (2000). Modulation of immune function by dietary lectins in rheumatoid arthritis.British Journal of Nutrition,83(3), 207-217. Savita, S. M., Sheela, K., Sunanda, S., Shankar, A. G., & Ramakrishna, P. (2004). Stevia rebaudiana–A functional component for food industry.Journal of Human Ecology,15(4), 261-264. Rébeillé, F., Ravanel, S., Jabrin, S., Douce, R., Storozhenko, S., & Van Der Straeten, D. (2006). Folates in plants: biosynthesis, distribution, and enhancement.Physiologia Plantarum,126(3), 330-342. Kantha, S. S., & Erdman, J. W. (1984). The winged bean as an oil and protein source: A review.Journal of the American Oil Chemists' Society,61(3), 515-525. Zakuan, Z., Mustapa, S. A., Sukor, R., & Rukayadi, Y. (2018). Antifungal activity of Boesenbergia rotunda (temukunci) extract against filamentous spoilage fungi from vegetables.International Food Research Journal,25(1), 433-438. Rajan, D. (2018). A Review on Pharmacognostical, Phytochemical and Pharmacological aspects of Psophocarpus tetragonalobus.Research Journal of Pharmacognosy and Phytochemistry,10(4), 331-335. Jena, A. K., Deuri, R., Sharma, P., & Singh, S. P. (2018). Underutilized vegetable crops and their importance.Journal of Pharmacognosy and Phytochemistry,7(5), 402-407. Cuvelier, K., Storsley, J., Mollard, R., Thandapilly, S. J., & Ames, N. (2017). A Review of the Impact of Whole Pulses on Glycemic Response.Cereal Foods World,62(2), 53-58. Higuchi, M., Inoue, K., & Iwai, K. (1984). Occurrence of TwoElectrophoretically Different Lectins in Winged Bean.Agricultural and biological chemistry,48(8), 2177-2180. Lamothe, L. M., Lê, K. A., Samra, R. A., Roger, O., Green, H., & Macé, K. (2017). The scientific basis for healthful carbohydrate profile.Critical reviews in food science and nutrition, 1-13. Kadam, S. S., Salunkhe, D. K., & Luh, B. S. (1984). Winged bean in human nutrition.Critical Reviews in Food Science & Nutrition,21(1), 1-40. Singh, A., Dubey, P. K., & Abhilash, P. C. (2018). Food for thought: putting wild edibles back on the table for combating hidden hunger in developing countries. Pradeepika, C., Selvakumar, R., Krishnakumar, T., Nabi, S. U., & Sajeev, M. S. (2018). Pharmacology and Phytochemistry of underexploited tuber crops: A review.Journal of Pharmacognosy and Phytochemistry,7(5), 1007-1019. Siddiqui, M. W., Sameer, C. V., Chaudhary, A. K., Chaturvedi, S. K., Verma, N., Ratnakumar, P., ... & Sultana, R. (2017). Pulse Secondary Metabolites: A Perspective on Human and Animal Health. InPlant Secondary Metabolites, Volume One(pp. 235-262). Apple Academic Press. Luo, S., Duan, H., ZOU, Y., Qiu, R., & Wang, C. (2017). Quantification of Total Folate, Folate Species and Polyglutamyl Folate Distribution in Winged Beans (Psophocarus tetragonolobus (L) DC) from Different Cultivars and Growth Stages by Ultra-High Performance Liquid Chromatography Tandem Mass Spectrometry.Journal of nutritional science and vitaminology,63(1), 69-80. Cho, I. S., Lee, S. H., Park, C. M., & Kim, S. H. (2017). Phosphorylation Properties of Recombinant OsCPK11, a Calcium-dependent Protein Kinase from Rice.생명과학회지,27(12), 1393-1402. Chay, S. Y., Salleh, A., Sulaiman, N. F., Abidin, N. Z., Hanafi, M. A., Zarei, M., & Saari, N. (2018). Blood-pressure lowering efficacy of winged bean seed hydrolysate in spontaneously hypertensive rats, peptide characterization and a toxicity study in Sprague-Dawley rats.Food & function,9(3), 1657-1671. Kumari, S. (2018).Morphological and Bio-chemical Characterization of Winged Bean Rhizobium and its Impact as Seed Inoculant either Singly or Combinedly with PGPR towards Yield Attributing Characters and Yield of Winged Bean (Psophocarpus tetragonolobus)(Doctoral dissertation, Dr. Rajendra Prasad Central Agricultural University, Pusa, Samastipur). Karpeta-Kaczmarek, J., Kubok, M., Dziewięcka, M., Sawczyn, T., & Augustyniak, M. (2016). The level of DNA damage in adult grasshoppers Chorthippus biguttulus (Orthoptera, Acrididae) following dimethoate exposure is dependent on the insects’ habitat.Environmental Pollution,215, 266-272. Mukhopadhyay, D. (2000). The molecular evolutionary history of a winged bean α-chymotrypsin inhibitor and modeling of its mutations through structural analyses.Journal of molecular evolution,50(3), 214-223.